Looking for a way to increase your repeat business, reward good customers and sell more products? Look no further than The Federated Group’s loyalty reward programs. Loyalty programs help you retain your customers by giving them value in return for their repeat business. With our state-of-the-art technology, our programs add value to your company by helping you build a broader customer base and increased spending. Plus, loyalty programs keep your customers coming back more frequently since the more often customers purchase from you, the faster they accumulate points toward a loyalty program reward. Loyalty programs are a great way to get your customers to try it. Let say you own a coffee shop and you want to reward your loyal customers. Instead of offering a free coffee with every 10 purchased, offer them a non-beverage reward for something they may not always buy such as 30% off of a pastry. Chances are your customer will purchase the coffee anyway but they might try the muffin. Now a reward of $1.50 off a $4.50 muffin has the same value to the consumer as a cup of coffee yet generates an additional sale for you, while introducing the consumer to your other products. Sell your customers prepaid cards for redeeming your products or services. Reward their prepayment and loyalty by giving them an extra item like a free car wash with 10 paid car washes or a free lunch after 10 bought.. Also known as Stored Value Card technology since the prepayment is stored in a manner that is associated with the card. 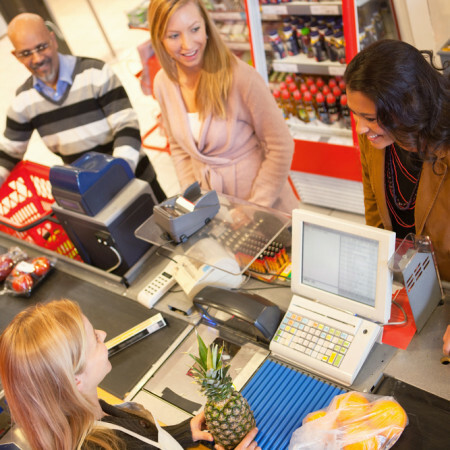 Loyalty programs are also a smart way to track your customers’ buying habits. After all, when you know your customers and their preferences, you can adjust your marketing plans accordingly.